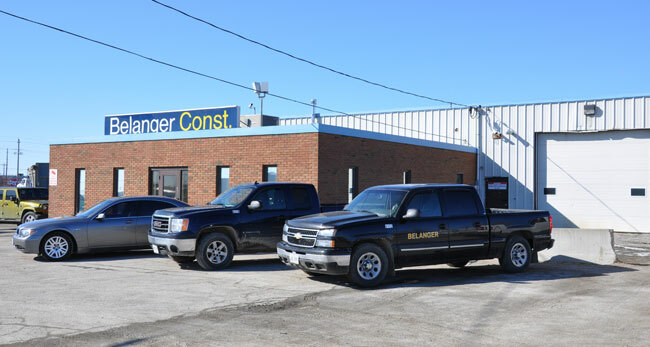 Bélanger Construction has been in business in Northern Ontario for 50 years. During this time, we have completed hundreds of projects and built strong relationships with many clients, including the City of Greater Sudbury, Sault Ste. Marie, North Bay and Timmins, as well as the Ministries of Transportation and Natural Resources. Our firm specializes in institutional, commercial and industrial construction projects. The interests of our clients is our number one priority. The success of our company depends on maintaining satisfied clients. We take pride in our reputation for honesty, integrity and in the quality of our personnel and work. Our employees are our most important asset. The field personnel include a dozen full time project superintendents. The majority of our supervisors have been with the company 20 years or more and has provided their dedication to the needs of our clients. They have been instrumental in achieving our goals. We are committed to maintaining an open relationship with our clients. We deliver a high quality product on time and on budget and provide a safe and secure work environment. Our goal is to continue to be one of the leading contractors throughout Northern Ontario for years to come.